There is a new hybrid in town, which combines the purpose of LinkedIn with the familiarity of Facebook. BranchOut, which was launched in the USA last year, has recently gained popularity among Indian users. Techcircle.in takes a look at what the Facebook app offers and how it compares with the tried and tested LinkedIn. BranchOut is a web application you will find on Facebook and it is deeply integrated with the core experience of social networking. So the app is completely personalised and uses the FB network as a base to reach out to users. Launched in August, 2010, BranchOut logged three million job postings and 20,000 internship opportunities up by March this year. It now has more than 500,000 members and is growing virally. An article dated June 24 by ITWeb says that the app has 1.5 million members. The base, of course, is vast â€“ Facebook has almost 700 million members. On the other hand, the recently listed LinkedIn has 100 million members, and recently crossed the milestone of 10 million users in India, up from three million in 2009. BranchOut was founded in July, 2010, by Rick Marini. It was created to address the need for a social recruiting platform. Founder and CEO Rick Marini said, "Many employers have been eager to experience the power of social recruiting on Facebook." The start-up has raised $24 million in two rounds of institutional funding from investors such as Accel Partners, Redpoint Ventures, Norwest Venture Partners and Floodgate Fund. The second round ended in May, 2011. Interestingly, BranchOut has advisors such as Napster's Shawn Fanning, WordPress founder Matt Mullenweg, Ben Ling who leads the monetisation efforts of YouTube at Google and Othman Laraki, director at Twitter. The company roped in Chris Merritt, vice-president of Global Advertiser Partnerships at Yahoo! and the man behind the divestiture of Yahoo! HotJobs, which was sold to Monster Worldwide in 2010. LinkedIn was launched in 2003 and is backed by investors such as Sequoia Capital, Greylock, the European Founders Fund and Bessemer Venture Partners. Post A Job â€“ this is one feature that BranchOut has brought to the forefront unlike LinkedIn, which makes it difficult for an employee to post a job without being the administrator of a company page. On BranchOut, anybody can post a job vacancy quickly. However, there is a catch. It will be a private listing and can be seen only by your friends and their friends. With a premium feature, BranchOut allows you to list the job publicly, so that everyone using the app can view it. This is being charged currently at $49. BranchOut does not play into the narcissistic need to know who has been peeking at your profile every week and view ads by members. The messaging via BranchOut is also minimalistic. There is an Inbox where you can check your connection requests and send messages to any of your Facebook friends â€“ whether they have joined BranchOut or not â€“ and you can also see the sent messages. It suffices, if you are not a regular user. LinkedIn's messaging is more active though. You can take a peek at the messages through a dropdown list without leaving the homepage. LinkedIn has the first-mover advantage, and has had the time to attempt various innovations â€“ features such as Groups, News (which LinkedIn has recently introduced with the magazine LinkedIn Today), Answers, Events, Company Buzz and a new one called Skills, which is still in beta stage. These are missing in BranchOut. Also, information on connections and jobs in India is not as strong yet on BranchOut. BranchOut's most casual feature is the badge â€“ you get one for being an early adopter, for being a professional networker, and one can also gift badges to friends. There are 58 badges in all that can be sent to a friend's profile â€“ from Genius Entrepreneur, Expert Angel Investor, HR Ninja to Got Me A Job, Best Dressed and Super Funny. 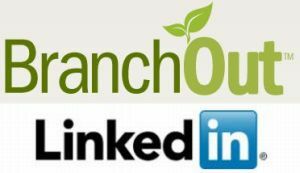 On the question-and-answer site Quora, many are asking how BranchOut will affect LinkedIn and if it can be a killer app in the job recruitment arena. However, BranchOut's CEO believes that there is space for both of them. In fact, he calls BranchOut the 'Pepsi' to LinkedIn's 'Coca Cola'. While LinkedIn dominates the Indian market, domestic job classifieds sites such as Monster.com, Naukri.com and Brijj.com may also find BranchOut a threat. Or maybe, they will launch apps of their own. Monster.com is learnt to be readying BeKnown, an app on Facebook too. And why not? Yogesh Bansal, founder of Indian social job network ApnaCircle.com, told VCCircle earlier that job boards were on their way out. "Job boards are inefficient. They are merely a database of jobs and users. From the employer's perspective, how to go about picking the right candidate from the 200 resumes available, is the huge problem," said Bansal. ApnaCircle is owned by Viadeo, a Paris-based Web 2.0 professional network and Linkedin rival. BranchOut is a well-rounded app that hits all the right spots â€“ it tells you where your friends and connections work, searches quickly for job opportunities, requests for recommendations, checks popular companies in your network, invites friends and expands your network. It may be a solution primarily aimed at recruiters but from the user's perspective, it reflects the blending of online professional and personal profiles. While LinkedIn will remain at the top spot, BranchOut is fast becoming a viable alternative for those who do not require a 360 degree professional network.